Expert technical consultancy support for the global steel, mining and materials industries delivered by experienced, UK based industry professionals. The Materials Processing Institute provides a technical consultancy service to the global steel, mining and materials industries to reduce and manage technology risk and accelerate implementation, associated with investment decision making, process improvement and corporate strategy, including acquisitions. Support is also offered to regional and national governments in evaluating the potential for inward investment in steel and metals, appropriate national steel strategies and opportunities for in-country added value, including supporting evidence for the development of public policy. These services are delivered by experienced and expert Institute staff, working from the Institute offices in the UK, or at the client’s location as required. This unrivalled expertise is backed up by a track record of decades of experience and in-house developed process simulation and support tools. Uniquely, the Institute offers a depth of in-house expertise that combines a technological and financial evaluation, with a deep understanding of the market. Wide practical experience means that Institute experts know what will work in practice and have the expertise to go beyond a typical consultancy remit to support the implementation of recommendations. Raw Materials Assessment – Beneficiation, value-in-use, in-country processing. Investment Feasibility – Technology risk analysis, market assessment, potential return. Capital Investment – Technology appraisal, process design optimisation, tendering and selection. Process Audits – Benchmark with best practice, plan for improvement, support for implementation. Logistics and Debottlenecking – Increase capacity, reduce rework, inventory and working capital. Training – From process operator to high level technologist, put theory into practice. Mergers and Acquisitions, Technical Due Diligence, Inward Investment: Assessment of Mergers & Acquisitions projects, to validate technical capability and investment requirements of target to meet strategic requirements. An essential part of acquisition due diligence. Technology Strategy and Risk Management: Understanding and managing technology risk. Developing and delivering a successful product and process development portfolio. Techno-Economic Evaluations: Through process, techno-economic evaluations of capital investment projects, new technology investments and raw materials opportunities. Supports capital planning and fundraising. Policy: Support for the development of public policy, by provision of expert advice, research and techno-economic evaluations. Previous clients include international companies, large consultancy organisations, governments and industrial supply chains, including OEMs. All case studies are anonymised to protect the commercial confidentiality of clients. A European steel company was considering investing in a radical new steel processing technology. The Institute was commissioned to carry out an assessment of the technology, including spending time at a demonstration facility outside Europe and assessing the potential for market acceptability. On the strength of the work from the Institute, the European steel company is now able to proceed with confidence with the investment and understands both where the technology risks lie and how they can be mitigated. A supply chain company to the manufacturing industry was seeking to transform its product portfolio, as part of transitioning to a solutions driven, innovative business. Institute consultants were able to provide the support to the management team, to understand their technology risk profile and develop an appropriate product development strategy, with practical support tools for implementation. 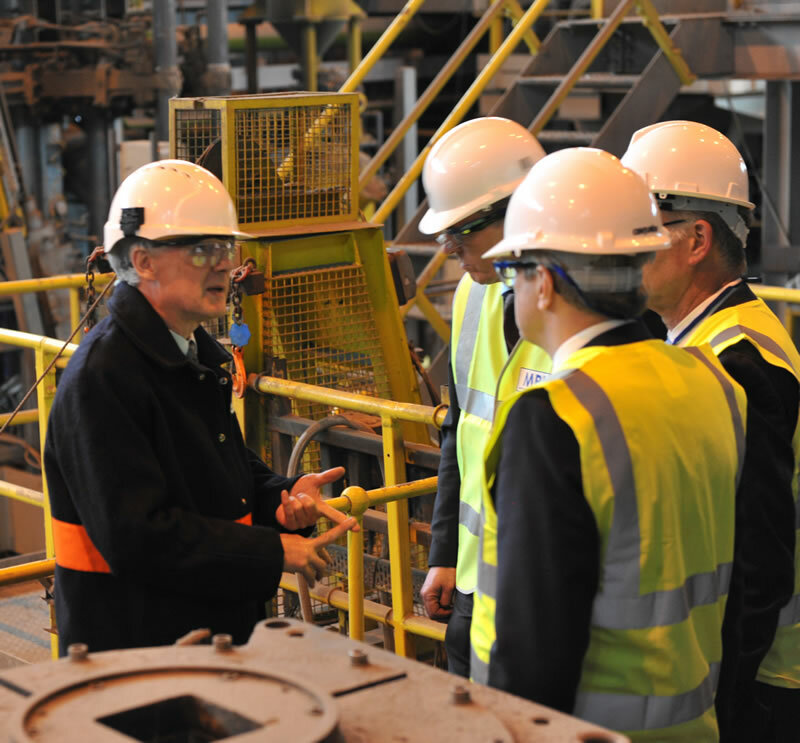 In collaboration with partners, the Institute carried out a competence and capability review of the UK steel industry to support the development of policy by the UK government and identify new market opportunities. The resulting report is forming the basis of UK government policy in this area and is helping industry to access the £3bn opportunity identified. Working directly for UK Government, the Institute carried out a techno-economic assessment of a major integrated chemicals and industrial cluster, to identify opportunities for further synergies. The focus was on the integration of industrial processes, both for the flow of materials and energy. A series of recommendations were produced that were of practical benefit to the companies involved and supported the development of future policy.